Whether you’re a small business owner, marketing executive or business professional, you know the importance of copywriting. Effective copywriting plays a critical role in your content marketing strategy by drawing people into the brand, perpetuating an image and connecting with customers. However, hiring full-time copywriters or outsourcing the work to freelancers can get pricey, and copywriting often takes a backseat in priorities when compared to producing product or improving services. Fortunately, there is a way to make copywriting a priority and save money at the same time—boost your own expertise. Here are sure-fire ways to improve your copywriting skills. The first step in writing better copy is one you’re already doing: researching. There are plenty of books, articles and podcasts out there that explain how to be a better writer, complete with practice assignments, topic ideas and more. If you genuinely want to improve your copywriting, then you must do the background work by researching beforehand. Look online for various resources to get started, then ask other team members to check your writing afterwards to see how you improve. If you ever took a writing course in school, you may remember the teacher telling you to “hook the reader” with the introductory paragraph. Copywriting is no different. In today’s fast-moving world, people do judge a book by its cover, which means your copywriting needs to have an eye-catching headline every single time. And if the headline is the most important component, then your introduction follows shortly after. Here’s a good rule of thumb: establish your headline by promising the reader what they will gain from the article, then introduce the reader by delivering on the promise. Like we mentioned: today’s world is fast-moving. This means your articles should be short, sweet and to the point to catch and maintain readers’ attention. Even the most interested readers will skim, scan and skip throughout your writing. This means use shorter sentences with powerful words, break the copy up into smaller paragraphs and cut words where you don’t need them. State the point, support the point and wrap it up. It’s not that your readers are unintelligent or even uninterested; they are simply overwhelmed with information, so your marketing copy is not a priority. By keeping it simple, they tune in easier. Too often, companies and individuals make the mistake of talking about their business, their products and their services. While this is all fine and dandy, more often than not, customers simply don’t care. They want to know what your business can do for them. When copywriting, use language that focuses on the customer, such as the second person. Change your emphasis to second person references like “you” and yours,” and discuss the beneficial effects your products can bring for customers, rather than the products themselves. When customers read your writing about them, they will pay better attention. Ultimately, copywriting is useless unless you ask the customer to do something at the end of it. And writing won’t help sell unless you call the reader to action. Incorporate CTAs whenever applicable throughout the copy, and don’t be afraid to be assertive. For instance, an assertive person has a strong handshake, looks you in the eye and speaks directly. They are bold, confident and clear. Use this same style of CTAs in your copywriting. Once you explain the point, wrap up with what you want the customer to do with the information. Copywriting is critical to successful content marketing, but just because you can’t afford a copywriter doesn’t mean you have to push it to the backburner. 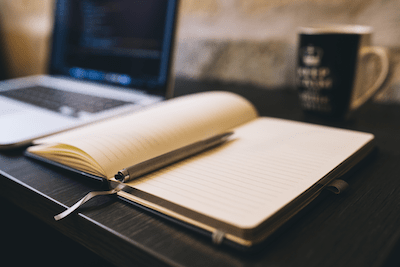 Consider these tips as you explore the world of copywriting to see how you can improve your skills and grow the business.